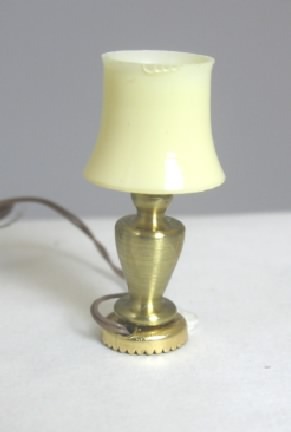 Half-inch scale brass table lamp with ivory shade. Approximately 1" tall. Artisan made, but unknown.